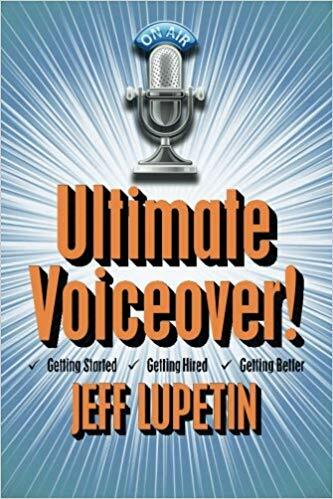 A few years ago, I was approached to edit a book by Chicago voiceover legend Jeff Lupetin. The project was still in progress at the time and while there are some book editors who won’t touch a manuscript until it has been declared more or less finished in some form, I accepted the project for a variety of reasons including the fact that I have a background in broadcast and understood where the book was going. That’s something a book editor shouldn’t take lightly-if you aren’t as experienced in a certain kind of subject matter and don’t know where the project might go, you are potentially at a serious disadvantage when it comes to avoiding task creep. How did I help this project and what can a freelance editor do to help YOUR book project? For starters, I asked the author some very direct questions. Who is the intended audience? For this book, that seems like a no-brainer. People who want to become voice artists and do voiceover work. But is that all? We managed to refine the audience type by asking ourselves as author and editor what kinds of people would be interested in this book. We came up with two basic types (not that our discussions were limited to that, mind you) including those who are gear savvy and those who are not. So we needed to reach people who didn’t know one end of a microphone from the other, and the people who know the difference between a cardioid mic, a shotgun microphone, and a large-diaphragm condenser mic. Knowing the business the way I do, it wasn’t hard to make suggestions about how to reach people who don’t know the technical side of things. And it was easy to suggest changes to make the book more “evergreen” so that technological advances didn’t render whole portions of the text obsolete in a few years. But the real work was the author’s-he had to organize his thoughts in such a way that the progression of information from the introduction to the closing chapter makes sense and can help the reader make a step-by-step journey through the craft and realities of working in the voiceover industry. What a good editor can do for your book project, especially non-fiction, is to provide the outsider’s perspective. When you write a book and devote enough time to it, it’s easy to miss some obvious things along the way. Everything from perspective on the subject to the basic ability to understand the progression of facts and information between the introduction and “about the author” can be tainted by being too close to your subject or the mechanics of writing about it. A freelance editor can be hired to do several things. One is nothing but a technical review of the book-is the grammar good? Punctuation and spelling? Does the book make sense to read or does it need formatting changes to make it easier to follow? These are all critical technical issues. But you can also hire an editor to give you more detailed feedback. Does the book make sense in terms of its’ overall presentation of content, the structure of the information, and the narrative? This is a more subjective process and an author who hires an editor to do this needs to be ready to hear real and constructive feedback. Don’t shy away from the hard things your editor might say-if the goal is to make your book as good as it can be, the advice you get is worth considering even if you wind up disagreeing. A good editor will be tactful but will tell you what you need to know about getting your book into shape for publication. If you need to hire an editor to help you format an eBook, understand that this is a completely separate process from editing the actual content of the book. Some editors refuse to touch eBook formatting and others love doing it. But the electronic book formatting process is totally different than working on the material itself. Freelance writers and editors often come with a wide range of skills, but a lot of potential clients aren’t sure if they need a freelancer, and what freelance writers, editors and social media managers can do for them. How do you hire and most effectively use a freelancer? Freelancers offer their clients a cost-effective way to generate or edit content, manage writing teams, edit books and online content for publication, post and maintain social media accounts, and even create digital content in the form of videos and podcasts. The most effective way to begin a search for a freelancer is to determine what your overall budget is for the project you want. Are you a theatre director looking for someone to promote your upcoming shows via Facebook, Twitter, Pinterest, and Instagram? You’ll need to decide how much labor you want to invest each day of the campaign, how much that labor should cost, and what your benchmarks will be for effectiveness of the campaign. Are you a band looking for a freelancer to do the same with social media and posts on your band’s official site? The same rules apply-you need to determine your budget in advance and commit to a certain amount of work for a certain amount of pay. If you have an independent business to promote, the same exact rules apply but with the added consideration that you are engaging in a longer campaign to generate business and attention to your website. Promoting an indie business takes time and results are not always available overnight. You will need to discuss your goals with your freelancer to determine the best course of action. Some types of business are better suited for some types of freelance writing and social media work than others. If you have a product your customers will purchase or use one time only or on a limited basis, the needs of your freelance campaign will be quite different than a company such as a record store that relies on social media and their website to generate repeat business. Many big name companies including PetSmart, Lionel, Inc., Motorola, and Banco Popular hire freelancers and temp workers, consult with freelancers for advice on expanding local social media campaigns, and use freelance writers and editors to begin new projects they may choose to take internally later on. 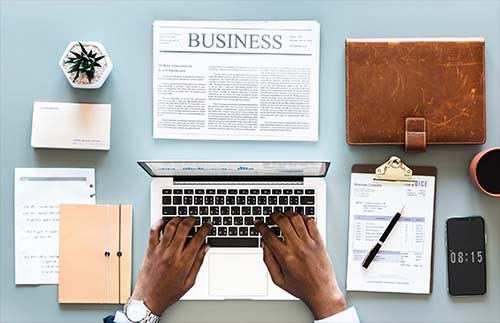 Corporate and local businesses alike can benefit from the flexibility of having a freelance/contract writer and editor working for them because the freelancer is dedicated specifically to that project and won’t have to attend other company meetings or be sidetracked by additional duties or other projects at that company. That is not to say that freelancers work for one client exclusively-that is an arrangement that is definitely possible but requires some additional negotiation and compensation discussions. But in general the advantage of the freelancer is that she doesn’t get sidetracked by the other issues and projects of the company hiring her. Her job is to focus on the writing, editing, and/or social media project assigned. 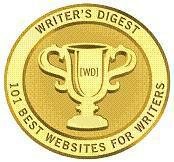 What Do Freelance Writers, Editors, And Social Media Managers Do? Freelancers write web content, articles, press releases, social media posts, and curate relevant posts from other tastemaker websites while writing original content to go along with that curated media. Freelance editors edit book projects (especially biographies and works that are intended to be self-published), web content, manage teams of writers, and check over any volume of written content for errors, grammatical goofs, auto-correct problems (and there are many of those!) and much more. Freelance social media managers write, edit, promote, and network on social media such as Facebook, Twitter, Pinterest, Instagram, and more. The best social media managers understand how to strike a balance between self-serving posts that promote the client and content that is shared as a way of generating and maintaining interest in discussions, sharing, and reposting. Freelance-Zone.com has many resources to help. If you need to hire a freelance writer, editor, or social media manager for contract work, short or long-term projects, or an ongoing relationship to produce results over a long period of time, get in touch with us today to hire a Freelance-Zone.com writer, editor, or social media manager. Contact us today and please use Freelance-Zone.com in the subject line to avoid spam filtering. We look forward to hearing from you. After many, MANY technical issues, we are back up and running. Freelance-Zone.com has in years past served as an advice and lifestyle blog for freelancers, but today this site is primarily a means to connect with clients and potential clients who need freelance writing, editing, SEO, social media management, community management and related services. Freelance-Zone.com is run by Joe Wallace, the founder and editor-in-chief for the site and all projects. We are now accepting new clients for a variety of writing, editing, and social media related work. Do you need a book edited? We have that experience. Joe Wallace is the editor of a variety of print and internet publications including Ultimate Voiceover by legendary Chicago voice artist Jeff Lupetin, as well as writer/editor of FHA Home Loans 101. In print, Wallace is also a contributor to To Japan With Love published by Things Asian Press, as well as Hidden Horror: A Celebration of 101 Underrated and Overlooked Fright Flicks. Do you need articles, web content, or print pieces? Joe Wallace, along with fellow writer/editors Patrick Ogle, and Carol Sponagle have plenty of experience including published pieces in Conscious Choice Magazine, HorrorHound Magazine, Chicago Dispatcher, American Fitness Magazine, Mapanare.us, Backroads Magazine, Korean Quarterly, Indie Slate Magazine, Classical Singer Magazine, and many others. Our content writing and social media experience is second-to-none with projects for Lionel, Inc., Motorola, Petsmart, Bank Administration Institute, FHA.com, HowStuffWorks, and many others. If you need a writer, editor, or social media manager for a project, get in touch with us directly to discuss rates, deliverables, timelines, and project details. Freelance-Zone.com offers a diverse writing, editing, and social media team with a wide range of experience. Hire a Freelance-Zone.com writer for a project today by contacting us directly with “Freelance-Zone.Com” in the subject line. We are accepting new projects for our writing team including online content writing, editing (books and other publications), articles, social media management and much more. A full list of our services and writers is coming very soon. The old website cliche “pardon our dust” definitely applies to this space. The site is being overhauled and updated and in the meantime now that we are back online after a lengthy absence, there is plenty to clean up around here! Apologies in the interim for sections badly in need of an update such as Writers Groups By State and Writing Programs. Updates as they occur. Thank you for your interest!